Brazil is the largest country in South America and fifth largest in the world. Famous for its football (soccer) tradition and its annual Carnaval in Rio de Janeiro, Salvador, Recife, and Olinda. 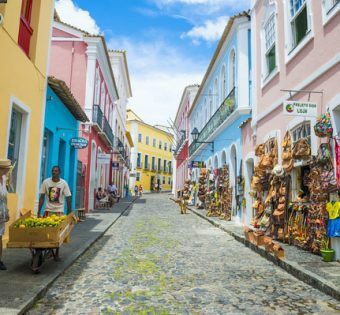 It is a country of great diversity, from the bustling urban mosaic of São Paulo to the infinite cultural energy of Pernambuco and Bahia, the untouched wilderness of the Amazon rainforest and world-class landmarks such as the Iguaçu Falls, there is plenty to see and to do in Brazil.